Ecclesall Woods are now regarded as three large ancient woodlands combined into one, however this landscape has had many uses over the course of its long history. Human traces in the form of Neolithic rock art indicate a relationship with this place dating back many thousands of years. Throughout prehistory, and continuing until the Middle Ages, the Woods provided timber and were informally used for grazing and hunting. The Limb Brook flowing along Ecclesall Woods’ southwestern edge is a historically important river. During the Dark Ages it was the boundary between the Kingdoms of Northumbria and Mercia. Later the brook became the border between Derbyshire and Yorkshire, and remained so until the villages of Dore and Totley were absorbed into Sheffield in the 1930s. In 1319 then landowner Sir Ralph de Ecclesall enclosed the Woods with fencing, in order to create a deer park. In the process he excluded commoners from the Woods for the first time in history. This private woodland featured many open spaces, or ‘launds’, distributed among the trees. For over two hundred years the Woods were managed as ‘coppice with standards’, and divided into various compartments that were rented out. During this period Ecclesall Woods were key to Sheffield’s industrial development. Charcoal made here was used for smelting iron; white coal was for smelting lead. The wood also had many other uses, such as the shaft of the large water wheel at Abbeydale Industrial Hamlet that was made from an oak measuring at least 1.3 meters in diameter. A large open quarry in the Bird Sanctuary (which cannot be visited) produced some poor-quality coal. Sadly there is no information on the people who mined it or when the site was in use. Elsewhere ganister, a stone used to make heat-proof liners for steel furnaces, was also extracted. The old ganister quarry in Wood 2 is now a wildlife pond, however there are at least two other quarries in Wood 3. During the 1820s coppice wood fell from favour as the demand for large timber increased. In order to supply this market vast numbers of trees were planted, including numerous non-native species, and Ecclesall Woods were gradually converted into a timber plantation. The market for local timber suffered when cheaply imported softwoods and exotic hardwoods became popular. Because they were no longer profitable, woodlands throughout Sheffield went unmanaged for the first time in centuries. Ancient woodlands disappeared under new housing and Ecclesall Woods lost some of its edges to development. In 1927 Sheffield Corporation, with help from J. G. Graves, bought the Woods from Earl Fitzwilliam, for use as a recreational space or an ‘amenity woodland’. The Woods had become ‘over-mature’, with many trees reaching old age together. This state, known as ‘high forest’, is defined by a dense canopy where little sunlight reaches the woodland floor. The lack of light impacts negatively on species diversity and to address this issue the Parks and Countryside service began a new phase of woodland management that aims to restore biodiversity. In 2006 Ecclesall Woods were awarded Green Flag status, in recognition of the well-managed and accessible outdoor spaces. 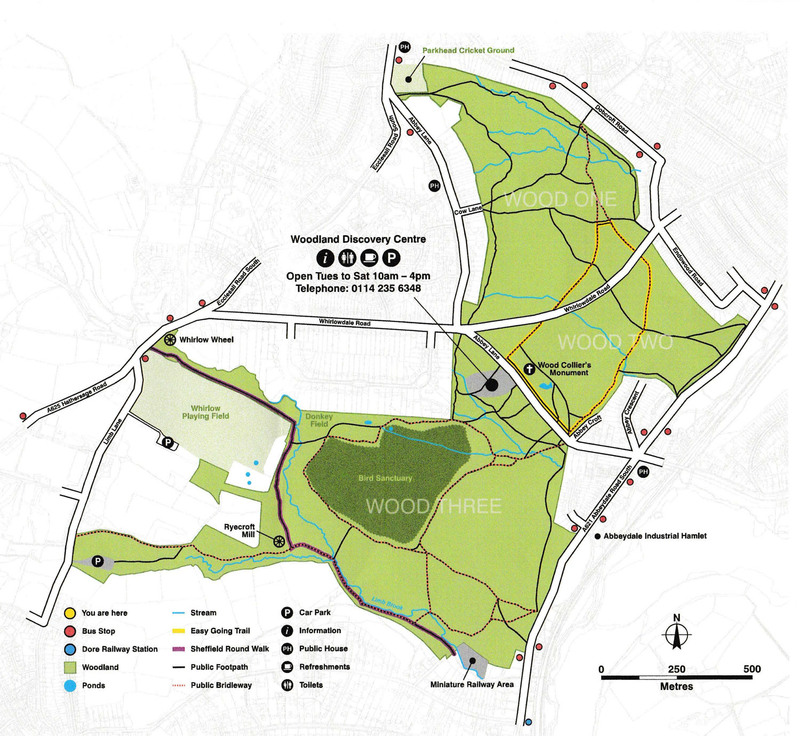 The former Ecclesall Woods Sawmill site was developed as part of the Sheffield Woodlands Environment Enhancement Project (SWEEP) and construction of the J.G. Graves Woodland Discovery Centre was completed in 2011. This multi-functional space is a woodland education centre, a wood-based business hub and a meeting place. The wooden buildings sit harmoniously within the surrounding landscape and use sustainable technologies such as rainwater reclamation and a biomass heating system to reduce the environmental footprint. There are three sites with late Neolithic or Bronze Age carvings on natural boulders or rocky outcrops. ‘Cup and ring’ marks are a form of prehistoric rock art known as petroglyphs. The cup, a circular depression in the rock, is surrounded by a concentric circular channel or ring. The tools that were used may have been flint, metal or deer antler. As with all such monuments the meaning and purpose can only be guessed at, although, at other sites, more complex carvings have been interpreted as signs of a meeting place. 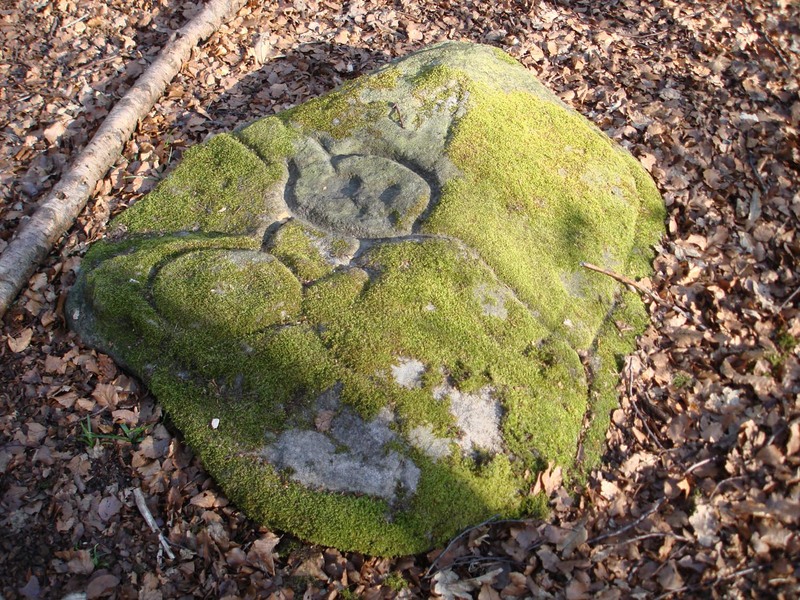 The location of Ecclesall Woods’ rock art is not publicised in order to avoid damage and vandalism. The erected stone says that “George Yardley, woodcollier, was burnt to death in his cabbin on this place Oct 11 1786”. Wood collier was another name for charcoal burner and there is a charcoal hearth close to the memorial. 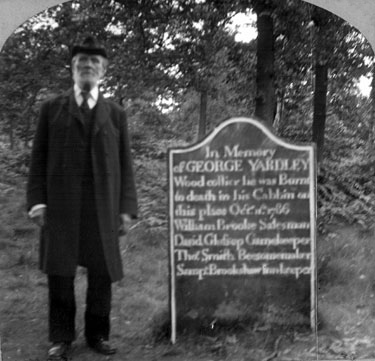 No record has been found of George Yardley’s burial in any surrounding churches, so perhaps his memorial is also his grave. Those who paid for the monument are listed: William Brooke, salesman; David Glossop, gamekeeper; Thomas Smith, besom maker; and Sampson Brookshaw, innkeeper. Brookshaw was landlord at the Rising Sun inn on Abbey Lane, almost opposite the Cow Lane entrance to the woods. Ryecroft Mill is a modern name for what was Dore Corn Mill, or Jacky Mill, and is surrounded by a plantation previously known as Jacky’s Wood. The mill is first mentioned in 1655, when it was a corn mill. It was later used to drive the air flow for lead smelting, continuing until about 1850. After being used briefly for scythe grinding, from 1864 to 1872, it reverted back to corn milling. It may also have been used for crushing iron pyrites mined at nearby Ringinglow. All that can now be seen is the high back wall, in front of which was the overshot wheel. In front of the wall is the wheel race, leading to a goyt (channel) under the footpath to the brook. The dam was fed by two long goyts, both of which can be traced for a considerable distance. The goyt to the east was probably fed by a dam much higher up the Limb Brook, near the stile entrance from the playing fields. 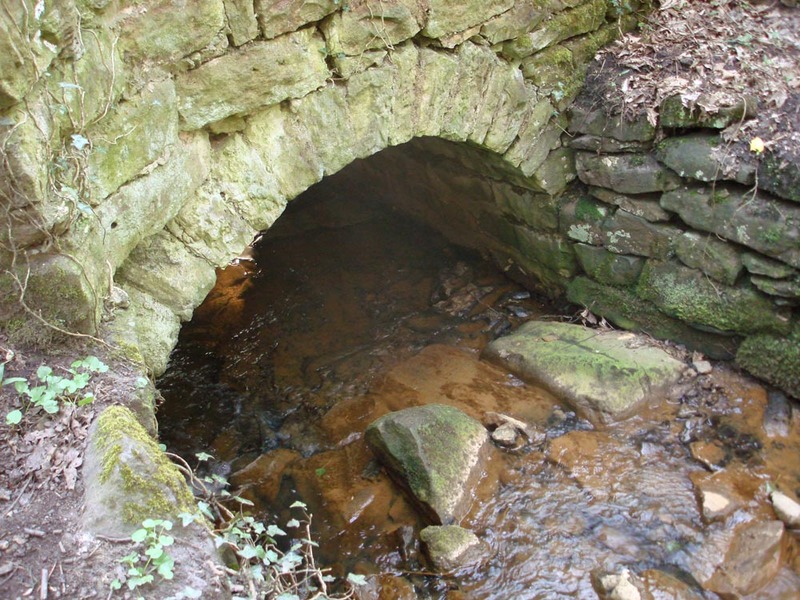 This bridge spans a stream joining the Limb Brook and dates from around 1800. It lies on the main track between Ryecroft Mill and what was then Abbeydale Hamlet, and is now Abbeydale Road. Under the bridge the stream bed is lined with stone to prevent erosion of the bridge supports. Further down the Limb Brook, there are remains of abutments for supporting another bridge, which presumably predated this one. There are more than 300 charcoal hearths and over 100 Q-pits, scattered throughout the Woods. These industrial features date from 17th-19th century and were somewhat overlooked until the 1990s, when a new report was published. It is thought that Q-pits were used to make white coal, a dried form of coppiced wood. Evidence for it being made in the Woods comes from a lease dated 1649, where the lessee granted permission to make white coal was also renting mills for the purpose of lead smelting. The pits were probably in use from 1570-1750 and some may have been reused multiple times. A Q-pit is a roughly circular depression, 3-6 metres in diameter, surrounded by a bank of soil and stones from the centre of the depression. On the downhill side the bank is interrupted to form an entrance/exit to the pit, which is also fringed by banks. On steep ground the entrance is short, whereas Q-pits on more level ground are typically long. They sometimes occur in clusters, even sharing the same entrance/exit. Some Q-pits – such as the one pictured in Wood 1 – are fairly is easy to identify, however some depressions, now all but filled in with earth, may be older Q-pits. The hole left by a falling tree, once entirely rotted away, can be confused with a Q-pit. It is difficult to locate the pits accurately and ensure that none are counted twice. 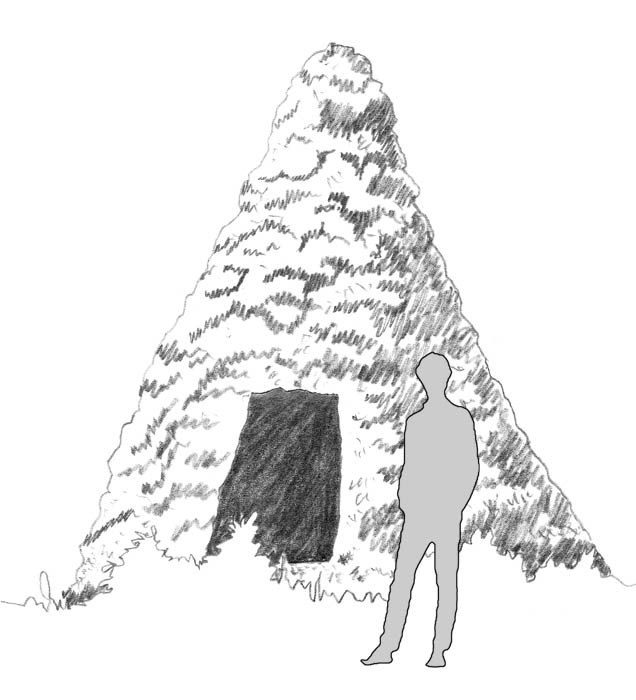 Charcoal hearths exist in large, essentially uncounted, numbers within the Woods. They are harder to identify than Q-pits, as they consist of a flattish oval, measuring 6-10 m, with a small rim on the uphill side and a small dip on the downhill side. Soil collected from a hearth will contain small, yet obvious, pieces of charcoal. There is a fairly visible hearth next to the Wood-Collier’s memorial. Charcoal hearths were intensively used for several centuries – read more about charcoal burning. The trace remains of this ancient structure are located at the top of Wood 3, overlooking the Limb Brook. Here the land falls away to the valley floor far more abruptly than the surrounding shallower slopes. 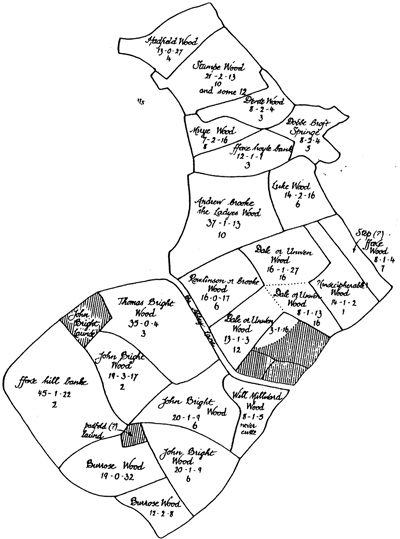 The whole area is overlaid with early field enclosures, ganister mines, charcoal hearths, Q-pits, spoil from the mines, a paved Victorian carriage road, modern improvements, and more. Before the survey and excavations carried out by FEW in 2003-6, little was known about this area and there is still much to discover. Read the archaeological reports. All field boundaries within the Woods are thought to date from between 2000 B.C. and 500 A.D. The Romano-British enclosure in Wood 3 can be traced quite easily and next to this there are clear boundaries of another field system that may also be Romano-British, although there is a strong suggestion that some of these field boundaries predate this period because of their simpler style. Elsewhere in the woods traces of other walls, which are not obviously part of a system, are overlain by later features. The picture is complicated by various factors: spoil heaps from mining; cuttings for Whirlowdale Road and works by Abbey Lane; building on the margins; drainage ditches; and other works, possibly from the deer park era. There is, to our knowledge, no complete survey of this sort of woodland feature. Such a survey could only be done in winter, when vegetation cover is minimal. Field boundaries do not photograph well and they are only clear to an informed observer. 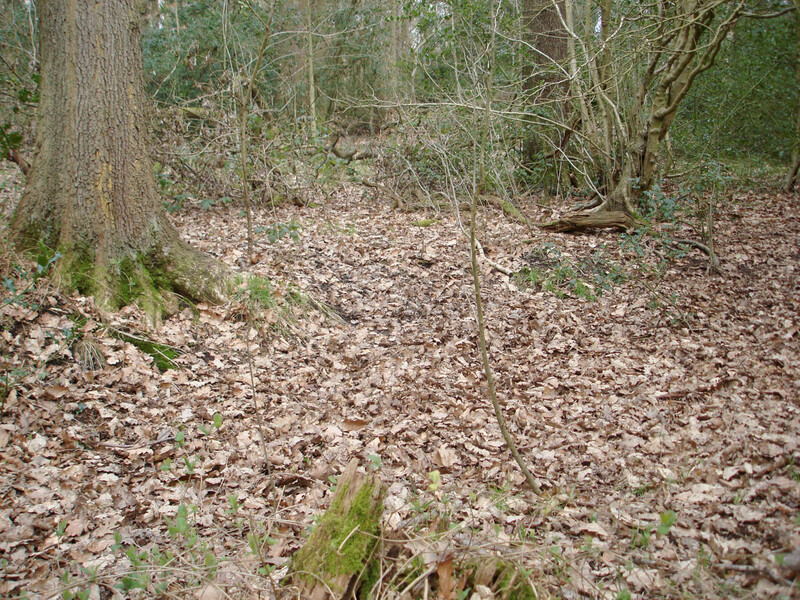 Small lengths of sunken path, usually bordered by holly bushes, are found in all three woods. Sunken trackways were normally used for moving stock and it would make sense if the tracks formed a network however the remnants seen today do not seem to connect up. It is likely that they were used by packhorses or mules to carry their loads, quite possibly taking coal from Dore mines down to Abbeydale Hamlet. One section runs from the corner of the Playing Fields and along the paths following the course of the Limb Brook. It then crosses the Limb Brook at the concrete bridge near the Ryecroft Glen Road entrance, and continues towards Abbeydale Hamlet before vanishing as it turns towards the Model Railway grounds. 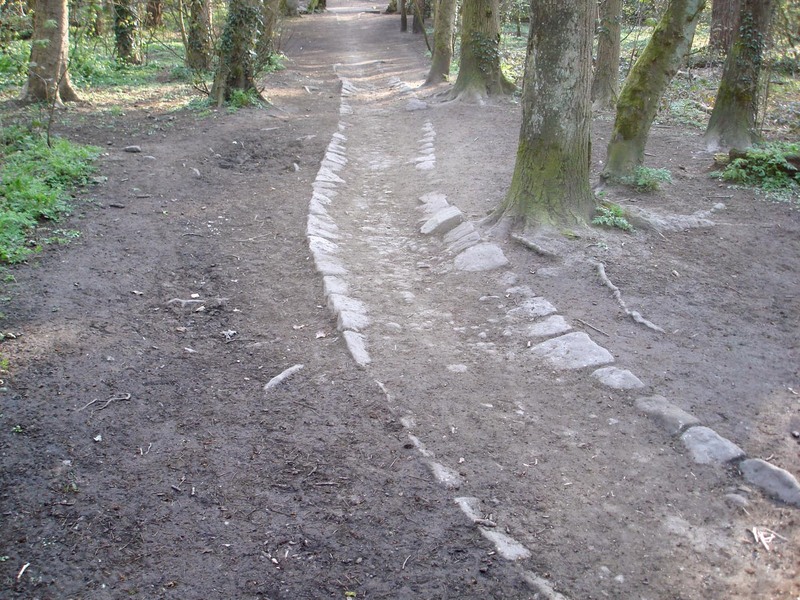 It is presumed that this trackway is 19th century, or later, as it runs across the goyt that took water down to Ryecroft Mill and was presumably built after this fell into disuse. 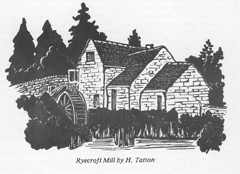 Ryecroft Mill itself stopped working in 1872. The main stream running through the Woods is the Limb Brook in Wood 3. There are several smaller streams intersected by a network of drainage ditches across several parts of Woods 1, 2 and 3. None of the streams are entirely natural, as they have all been channeled and controlled during intensive management of the Woods. None, apart from the Limb Brook, are named on local maps. The dense network of drainage ditches still serve the purpose for which they were built. During the Sheffield floods of 2007 they controlled water flow and prevented even worse flooding. 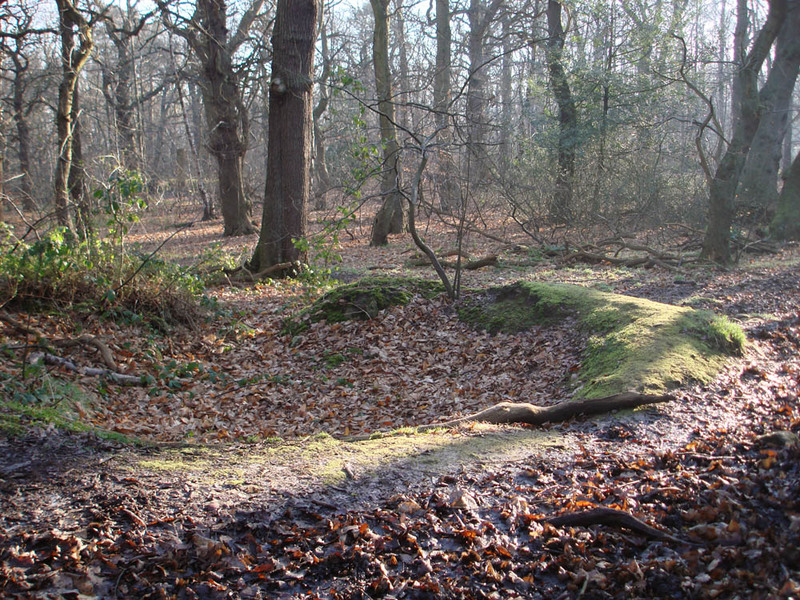 The construction date for the ditches is unknown; they may have been created in the Tudor period to drain marshy areas when the Woods were first compartmented, or they may be Victorian. To understand the Woods’ history it helps to consider the different dates of the roads. Abbey Lane follows an old route, connecting Beauchief Abbey to Parkhead, and was probably key to the flourishing of the abbey in the 1200’s. Abbeydale Road was not present until the early 1800’s; neither was the railway. Fields around the abbey would have led down to the River Sheaf and continued as woodland to the west. During the 18th century, when the Woods were most actively exploited, the treeline reached the edge of Abbeydale Hamlet. 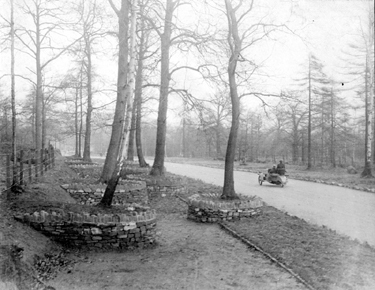 Whirlowdale Road, pictured, dates from around 1920 and cuts through the Woods, separating Wood 1 and Wood 2. Fortunately, building was not allowed along the wooded section. An 1825 Ordnance Survey 1 map shows that the woods were larger than today. Its edges gave way to more housing built on Dobcroft Road and where Abbey Lane backs on to Wood 1.